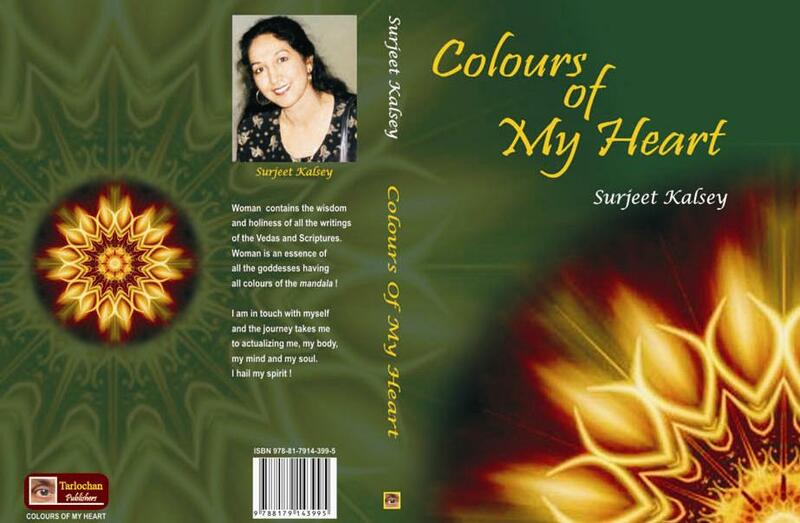 Poems in Surjeet Kalsey’s new poetry book “Colours of My Heart” portray picture and mannerism in which women are being treated in our society even now while living in the most advanced countries. However, if you are under the impression that this is an anthology of a woman’s laments, banish the thought. There is a streak of feminist assertiveness in many poems such as “An Incarnation of Kali” and ‘A Warrior’ when the author proclaims, “I am a woman warrior/who believes in Self/and only in myself/and does not need Krishna/to be my charioteer/and utter sermons from the Gita“. The feminist motif is predominant in this collection. The term ‘feminist’ here is used in the sense more as a woman’s awareness of its rights and her rightful place in the society. Surjeet Kalsey is an accomplished Canadian South Asian/Punjabi author of poetry, short fiction and drama. As an aware and conscientious writer Surjeet explores the lives of women and human sufferings, interactions and relationships in her writings. She began her career as a poet in seventies with a collection of Punjabi poetry titled Paunan Nal Guftagoo (1979), and with two poetry books in English Speaking to the Winds and Foot Prints of Silence. Since she has published 7 books of poetry with Colours of My Heart (2011) being the latest. In addition, Surjeet has given us four collections of short fiction in Punjabi; has written, directed and staged seven plays from her collection “Mehlin Wasdiyan Dhian” (Behind the Palace Doors). She played an important pioneer role to introduce Punjabi literature to the mainstream audience through the medium of translation. Surjeet guest-edited with its editor Andreas Schroeder the Contemporary Literature In Translation, (Spring Issue 1977) and edited and translated into English Glimpses of Twentieth Century Punjabi Poetry An Anthology, that includes 55 Punjabi poets from Canada, India, England, USA, Kenya and Sweden. By profession, Surjeet has a passion for healing practices as Family Therapist and has made on going contributions in the area of support and healing work. As a social activist Surjeet spoke openly in public and wrote without fear about stopping abuse and violence against women and children in Indo-Canadian community. Her writings such as “Aurat Shabad te Shakti”, (Woman, Words & Power) (Poetry) and “Katha Teri Meri” (Short stories) reflect the issues of bringing women’s equality, dignity and respect in any society. She also facilitated groups of victims of family violence; encouraged many women to take charge of their lives either through writing, or upgrading their skills and knowledge. Surjeet has played pioneering role in developing Punjabi literary and cultural communities in British Columbia and Canada. She has been the first woman writer member of Punjabi Writers Forum Vancouver established in 1973-74. 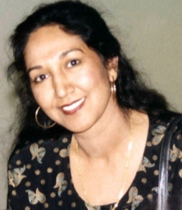 She is the founding member of Samaanta (Equality) Vancouver (1982) and Sahara Abbotsford Women’s Organizations (1996). She is one of the founding members of Punjabi Literature Society (Punjabi Sahit Sabha) Abbotsford (Reg.) which she helped to establish in 2008 and has been coordinating its literary activities, poetry readings, book releases etc. since its beginning. She has edited its members’ first anthology – “Shabdan Di Sanjh – Kalman Fraser Valley Diyan” (poetry 2011) included 22 writers.